Seeing Bubble | You. In a Bubble Suit. Playing Soccer. You. In a Bubble Suit. Playing Soccer. Oh, and the one you’re about to put on. Yep, suit up for Bubble Strike Miami. It’s just a regular ol’ soccer match... using giant plastic bubble suits. And it’s taking registrations now. 1. 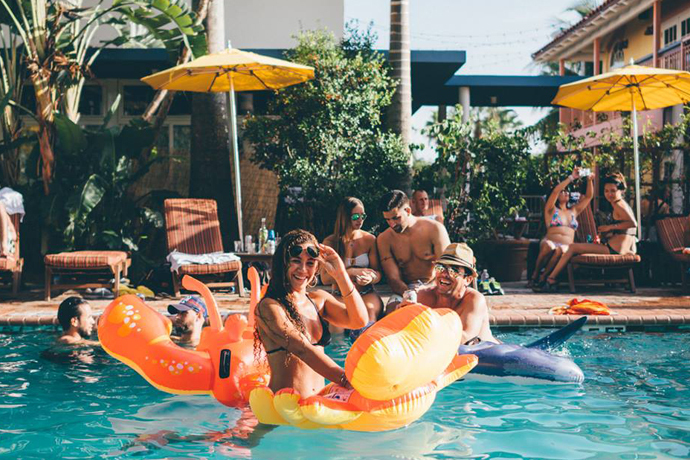 Host the weirdest soccer party in Miami. You: lock down the field and a group of friends. Bubble Strike: will bring all of the aforementioned equipment to you. 2. Sign up for a match. They host them every Saturday, depending on the number of registrants that week. You’ll head to either Wynwood Soccer or Soccer Rooftop in Brickell for the 8pm game. Then, you’ll crank out a few warm-up stretches and hit the field in your bubble while a DJ spins on the sidelines. Because of course there’s a DJ.